mwe3: Do you consider Cinemanic a collection / retrospective or a new studio album as some tracks were recently remixed with new parts? Cinemanic is a lot different from your recent solo album Thank And Share so what brought on such a prolific compilation of instrumentals from you? 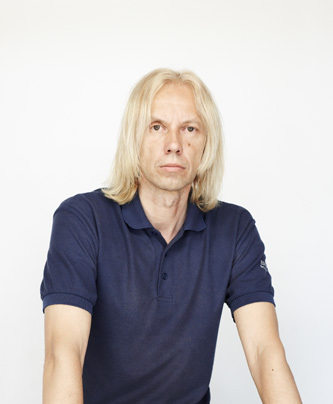 Indrek Patte: In the 1990's I created music for several films and TV series. I have a lot of interesting material from those years, which has so far only been used in designing films. I had been entertaining the idea of putting together a film music album for years before I finally sat down to do it in spring 2017. I listened to the material many times over in order to make a selection. It proved to be quite a difficult task since it contained over 30 hours of material and I intended to pick out only an hours worth of music which had to make up a coherent unified whole. I rearranged most of the music and added new parts. In some pieces the drums and bass guitar have been recorded again. In one piece I added parts for the flute and violin. Considering all this, I see Cinemanic as a studio album rather than a compilation. The main difference from my previous albums Celebration and Thank And Share is that in Cinemanic the emphasis is much more on instrumental music and the mood created by various tone colors. The album flows on a specific concept, which is the journey from Creation to the Creator. On this journey, the traveler encounters both hopeful and disheartening moments until he finally arrives in glory. mwe3: The cover art of the CD is excellent. What does it say to you? 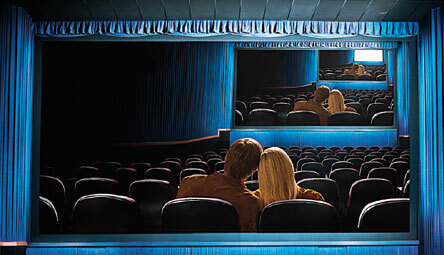 Looks like you want people to feel like theyre watching and listening in a movie theater. Indrek Patte: Thank you! I had a clear vision for the album cover design. I made a demo version of it, which the photographer Andres Teiss and the graphic designer Einike Soosaar used to create the final design. I think they did a brilliant job. We employed the Droste effect (a picture within a picture), which was already in use in Medieval art. I also had a clear idea for the general color scheme to match the concept of the album. The image conveys the journey I mentioned before. If this journey takes place in love, we can be sure that there is light at the end. Sometimes we might feel that what goes on in our lives is like in a movie or the other way around. It is a sort of recognition as films resonate in our minds, but the truth is recognized in our hearts, and we have a choice whether to follow it or not. mwe3: I was thinking the Pekka Pohjola influence is apparent on some tracks and in the Pohjola spirit you also add in a solid rock sound with the symphonics. What composers influenced you to go in this direction? 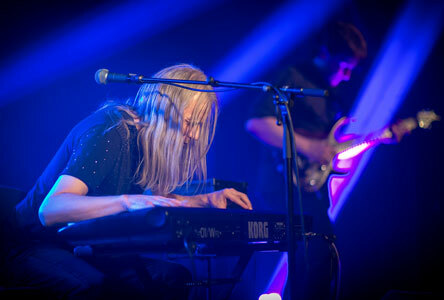 Indrek Patte: Pekka Pohjola has created very interesting music in various projects. I have looked him up and it has given me a lot of fresh positive emotions. My strongest influences are still the ensembles YES and Genesis. Film music composition, however, has different requirements because music has to be part of the film as a whole and it should not dominate but should help to convey the ideas and emotions in the film to the viewer. Rock and symphonic music have been my favorite genres for a long time and I have mixed elements of them together on my previous albums as well. I do not have role models or direct influences among film music composers, but I have been impressed with the music composed by Howard Shore and Bernard Herrmann. There are many films with a very good soundtrack, mentioning all these composers would make up a very long list. Among Estonian film music composers I like Sven Grünberg the best. I had a chance to collaborate with him in the 1980s in the studio and to record music for some of his albums. I had a lot to learn from him about how to handle sound and form and how they are sensed. mwe3: How did you compose and record the soundtracks and have the videos of the shows ever come out? Did you work closely with the directors and can you tell us about Estonian TV documentaries and something about Estonian TV and movies and maybe recommend some Estonian movies? Indrek Patte: In 1991 when I was offered the task of composing music for the documentary Lapin, which is about a renowned Estonian artist Leonhard Lapin, I had no previous experience with composing film music, which made it all the more interesting for me. The director Jaanus Nõgisto, whom I have played with in many ensembles, knew my musical taste and creativity, had complete faith in me. I should say that I have been lucky in that sense with all the film directors I have worked with. They have trusted my intuition and composing style and have not interfered in the creative process. When I was making music for TV series I would get the video material at the beginning of the week and would have to create music in a few days. The series Waba Riik (Free Country) and Kired (Passions) ran for years in Estonia. The first resembles the well-known series Moonlighting and Miami Vice, while the second is like Dynasty in terms of plot. All of the films for which I have composed have been shown on Estonian TV and some on foreign channels as well. Estonian film as a topic is quite broad and should be addressed separately. But very briefly, I think there are two films that are especially important to every Estonian: Viimne reliikvia (The Last Relic) and Kevade (Spring). Both have very good soundtracks too. For me another influential film is Hukkunud alpinisti hotell (Dead Mountaineers Hotel) with a brilliant soundtrack from Sven Grünberg. Among more recent productions I would point out Mandariinid (Tangerines), a film with a deep plot that was nominated for an Oscar. Film production in Estonia is getting better and better. mwe3: You have three guitarists in your band on the Cinemanic CD including a track with Toomas Vanem. What can you tell about when that track Passions was recorded and something about the other guitarists you recorded the various tracks with? Indrek Patte: I have been working for a long time with two excellent guitarists Raul Jaanson and Toomas Vanem. We all played in the ensemble Linnu Tee and I know their tastes and skills and I trust them both completely. Although I compose the themes and main parts, they add their amazing sound, feeling and sometimes improvisation, for which I am very thankful. The piece Passions, which I composed in 1997, is the theme song of the TV series of the same name. For this album I composed a completely new arrangement for it, which also required a new guitar part and a solo played by Toomas Vanem in 2017. Most of the guitar parts on Cinemanic were played by Raul Jaanson, some by myself. My previous albums also feature two very original guitarists Kalle Vilpuu and Robert Jürjendal. A few years ago I met a fantastic French guitarist Mathieu Spaeter when we were sharing the stage at a concert. He recently moved to Estonia to be with his Estonian girlfriend. At the premiere of Cinemanic in January 2018 I invited him to join my live band for the concerts. He readily accepted as we have similar tastes in music. I hope this collaboration continues in the future. mwe3: 1991-2004 is a long time ago, so what was involved in remixing for Cinemanic and were all the drums added in 2017 and how did you master the album? It sounds very unified for music recorded fifteen years ago. It sounds like a new album and its excellent! Indrek Patte: Thank you! When I started putting together the material of the album I considered that the album would sound like a new one and a little bit different from my first two albums. I have a multi-track data and audio files of my previous recordings, so it was quite easy to make modern remixes with adding new instrumental parts. Unfortunately, the process of making the album got more complicated, when I did not find separate audio tracks of three songs, so I decided to make new re-mastered versions of these songs to unify the sound of the album. Its possible that some smart listeners can distinguish these CD tracks from others, but I think that Cinemanic sounds quite unified. On some tracks I replaced the drum machine parts by live drums that were played by excellent drummer Andrus Lillepea in 2017. On these tracks I recorded new bass guitar parts as well. The bass guitar was played by Vladislav Reinfeldt. In addition, I wrote some parts for natural instruments. The flute was played by Priidik Soon and the violin by Hendrik Soon. Both of them are very talented multi-instrumentalists. Im very blessed making my music with such great musicians! mwe3: I guess fans are thinking you might do more instrumentals again in a possible Cinemanic2 or are you going to be making a new progressive rock vocal album next? What are your current hopes and dreams? 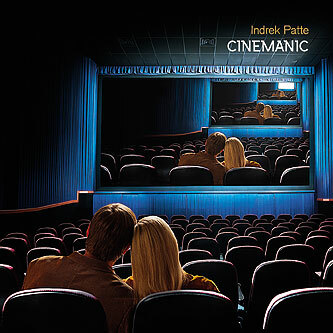 Indrek Patte: When I finished Cinemanic, I was waiting to see how the audience would receive my instrumental music. The album contains only one song with vocals, while most pieces are instrumental soundscapes. It has now been a few months and I have received a lot of positive feedback. Many have been touched by this music and some have even said that it is my best album yet. This is a very positive surprise. It feels great to have my own audience and to bring them joy with my music. Creating is part of me, it is a necessity and a lifestyle. I have new ideas and material for a new album but I cannot say for sure when I will start working on it because I am currently busy with producing other projects in the studio. I think my next album will be a new progressive rock vocal album that has a 50:50 ratio of instrumentals and tracks with a vocal. I am very thankful to God for giving me such a wonderful gift of creation. I hope that the material for my next album will be ready in a few years time. Until then, lots of love and be blessed!